A grand jury indicted 17 alleged members and associates of the notoriously violent MS-13 gang on charges related to the machete killing of a 13-year-old boy, other murders and drug trafficking following a seven-month investigation that spanned several states, officials announced Thursday. Nassau County District Attorney Madeline Singas said the county and the federal Drug Enforcement Agency started the investigation into the gang's activities in May, identifying activities that stretched from New York to New Jersey, Maryland, Virginia and Texas. 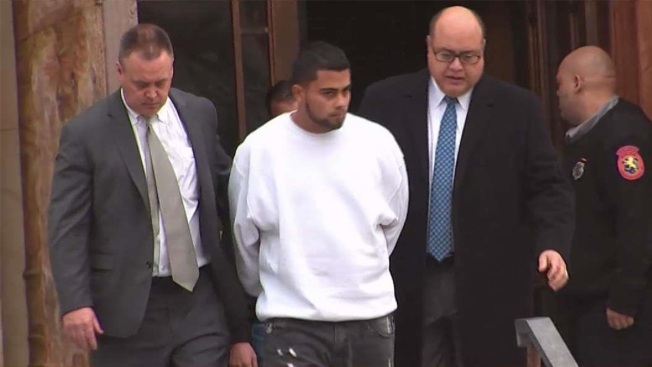 It started with a focus on narcotics trafficking but expanded to encompass murder and other acts of violence, including the killing of a 15-year-old Long Island boy, and focused on the "Hollywood" and "Sailors" cliques, or cells, of MS-13 on Long Island. Officials said the Long Island clique leaders answered to leaders in El Salvador, and sent them proceeds from criminal activity. Human remains that were found in a wooded area are that of a boy who had been missing for three months, authorities say. Tracie Strahan reports. "This massive multi-agency investigation laid bare the global size, complexity and brutality of MS-13, and these indictments strike a heavy blow to the gang's operations on Long Island," Singas said. "These alleged gang members have terrorized vulnerable immigrant communities (and) trafficked deadly heroin into our neighborhoods." Federal prosecutors believe MS-13, or the Mara Salvatrucha, has thousands of members across the U.S., mostly Central American immigrants. The gang, believed to be behind 25 killings on Long Island in the past two years, has become a prime target of President Donald Trump, with both the Republican president Donald Trump and U.S. Attorney General Jeff Sessions coming to Long Island to speak on efforts to fight it. The gang originated in Los Angeles in the 1980s, though it's now led from Central America. 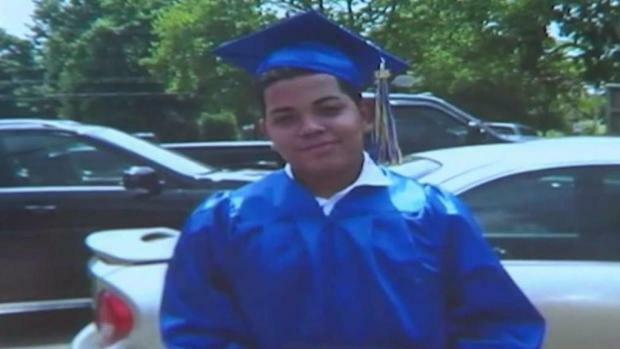 The indictment includes the murder of Angel Soler, who was 15 when he disappeared in July. His body was discovered in mid-October in a wooded lot in the hamlet of Roosevelt. Soler's remains were one of three sets found close to each other over the course of nine days. Authorities have said Soler was attacked by a group of people and hacked to death with a machete, and a 26-year-old man was charged in November with his murder. The criminal complaint in that case said the suspect acted with others who had not yet been arrested. The 21-count indictment announced Thursday names another alleged MS-13 member as a suspect in Soler's death. Undercover detectives stopped five people associated with the gang MS-13 from kidnapping and killing a random 16-year-old boy walking on a Long Island street, police said. Greg Cergol reports. "MS-13 gang’s mission is to control our towns through brutal violence, but today we took that control away from them," said DEA Special Agent in Charge James Hunt. Not only did we arrest the highest level MS-13 leader in the Northeast who reports to MS-13 in El Salvador, but we sent a message that we will continue to investigate their violent crimes and bring justice to their victims." The 17 defendants face up to 25 years to life in prison if convicted on the top charges, prosecutors said.